Delta Sigma Phi fraternity was founded at the City College of New York in 1899. The fraternity’s headquarter is located in Indianapolis, Indiana. Delta Sigma Phi fraternity had chapters in Canadian provinces in the past. But these chapters are not active anymore. With 107 chapters, colonies in 30 states, 5,000 undergraduate members and 80,000 living alumni members Delta Sigma Phi remains to be one of the largest fraternities. It is a member of the North-American Inter-fraternity Conference. Delta Sigma Phi fraternity holds regional events and provides it members with training. 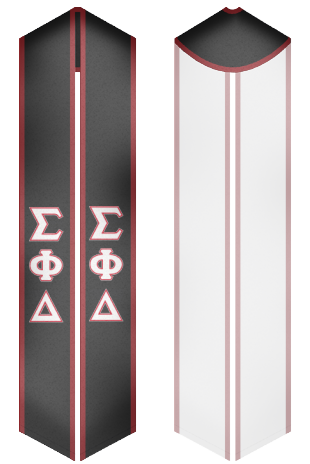 Here, students can purchase stoles specially designed for Delta Sigma Phi events!